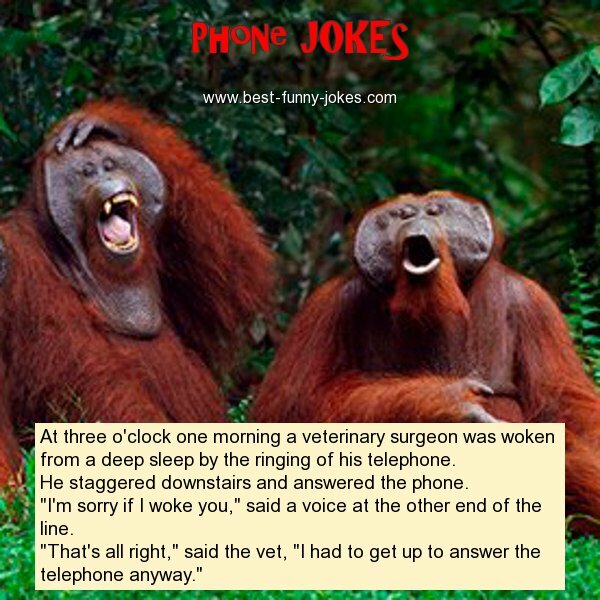 At three o'clock one morning a veterinary surgeon was woken from a deep sleep by the ringing of his telephone. He staggered downstairs and answered the phone. "I'm sorry if I woke you," said a voice at the other end of the line. "That's all right," said the vet, "I had to get up to answer the telephone anyway."